Alexandria Property Management has many years of experience in tenant-landlord negotiations. They act in the best interest of their clients by speaking with tenants regarding any issues that may come up. 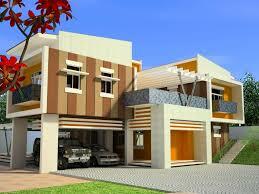 Their chief mode of experience lies in residential, commercial, and retail property. Their residential list ranges from single-unit homes to condominiums and apartment complexes that hold many units. The Alexandria, VA Property Management firm was created to relieve owners of the daily hassles that come from renting out to tenants. Additionally, the company creates a cooperative relationship between tenants and landlords and keeps landlords abreast of what is going on with their property and any changes that may be needed in order to keep business thriving. The company has four directives in place to ensure good, quality customer service. Alexandria, VA Property Management has a special tenant matching program where tenants are screened and then matched to an appropriate property. Prior to move in, the company does extensive background checks that include access to the person’s criminal background, employment verification, and a thorough credit check. Alexandria, VA Property Management tries to remain on top of every property under their care. Part of the deal is that they will do regular routine inspections that involve matters in preventative maintenance and upkeep. This will pave the way for landlords to have a much better return on investment after a tenant moves out and a new one moves in. When a tenant passes a move-out inspection, then that’s far less of a headache to landlords because they will not have to shell out money to hire a cleaning crew or a contractor. They do this with the understanding that the best maintained homes are the ones that tenants will be most inclined to take pride in, whether its decoration, cleaning, or both. The company tries to maximize a landlord’s return on investment by managing vacancies. In fact, preventing vacancies is the number one priority of this company. 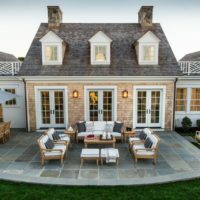 Before a property or unit gets listed as vacant, the company will take all measures to ensure that a viable tenant is chosen by using a combination of marketing techniques when putting the property up for grabs. Alexandria Property Management allows the owner access to information on their property by viewing all activity in real time. This includes lease renewals, rent payments and receipts, and violation reports. This is done using management specific software designed to provide continuous, accurate information about any and all happenings within the building and the surrounding vicinity. 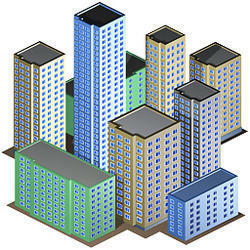 As far as business properties are concerned, Alexandria Property Management also has experience in this area. Most of the screening is about seeing which owner is most likely to generate the most business on that site. For offices, there is a recommendation that clients look at the property from the perspective of a potential business owner in order to get an idea as to what needs to happen prior to renting. A prospective tenant must consider location, the reputation of the neighborhood and its features, and local and state incentives for potential relocation. Image is important because the business needs to think about what it represents. Is it an attorney’s office, or a bank? Whatever that may be, a higher form of screening must be used to find renters that will yield the best possible income for the client. Advertising that is aimed at specific types of businesses is used when determining which one is the best fit for the property and its location. Retail and restaurants, on the other hand, have slightly different criteria. Most of the screening is concerned with who is most likely to generate the greatest amount in sales so that monthly rent can be paid on time. Space, profile, and the individual client are all part of the matching process. If the building has the vibe of a deli, then it is most likely that the company will target those interested in opening one during active marketing. Tenants are more likely to invest more money in a place that is most likely to generate the most in sales and profit. The real estate mantra “location, location, location,” can apply to few places better than West Los Angeles. The beach is a hop, skip and a jump away. UCLA is easy to get to from there. Want to get out of town? The freeways to Santa Monica and San Diego are practically outside everyone’s front door. Want to stay in the neighborhood? Enjoy the Stoner Recreation Center’s water park, lit ball fields, and indoor gymnasium. Looking for a culinary hotspot? Among the many great places in West L.A. to stuff yourself is Sawtelle Boulevard, with offerings from top-of-the-line Japanese to Mexican to French restaurants and bakeries. Drive down the 405 freeway through West Los Angeles these days, and you’ll notice a boom in construction on both sides responding to this central location’s growing popularity. This key part of the greater L.A. area is undergoing rapid change, with ground being broken on new buildings all the time. It’s little wonder, as the L.A. Times recently reported, that Los Angeles is the top city for real estate investors in North America. It’s more than the weather, the industry, the parks, and the schools. It’s about the growth, which is best seen in West L.A. This area of the city saw healthy growth in condo and co-op sales between 2015 and 2016, with a 2-percent increase in volume, and a median sales price increase of 18 percent, reports theMLSblog.com. In addition, with citywide rent averaging around $2,600 per month per apartment, almost everyone living within the greater L.A. area will not settle for crumbling properties, broken fixtures, and dirty hallways. This makes West Los Angeles property management more important than ever. A growing force of people willing to make sure buildings operate at peak levels for the customers occupying them is necessary. The job itself presents unique challenges too. Some say being a good property manager cannot be taught, but rather requires an innate ability to keep your cool, stay under control, and keep customers happy with expressions of confidence. In West Los Angeles, the threat of earthquakes keeps property managers on their toes. So does a host of other unpredictable things, like people climbing buildings, drought, and Pokémon-related incidents. West Los Angeles property managers should undergo thorough training that tackles the many challenges they’ll face in a truly comprehensive way. They should learn not just how to do their own job, but the job of everyone around them, so they can adapt to any sudden challenge more easily. Property management in a discerning city like Los Angeles is very different than it was just a decade ago. Tenants expect more for their money. Needs of clients now go beyond the simple day-to-day operation of a building. Managers are now expected to take a hospitality-centric approach, understand financials, and adapt to technological changes in their relationship with clients. Things like smartphone apps, real-time weather and transit screens in lobbies, and innovations in security make the modern job of property management more challenging than ever, and a city like Los Angeles expects its property managers to keep apace. Simply speaking, more clients equal more growth for your property management company. It stands to reason that the more property owning clients you can attract to your business and services, the more your company will experience growth. Most would say that this is easier said than done and that attracting new clients can be a daunting task. However, utilizing smart strategies that get your name out and impactfully advertise your services are truly the keys to the vault. One of the smartest pieces of knowledge that you can arm yourself with is knowledge of what the market rates are for different areas of town. Sites like Rentometer.com are helpful for this. This will help you to maximize your profits on rental units and decrease the amount of time that rental units sit empty. This is helpful in terms of keeping your existing rental properties leased and attracting new property owners. This type of information is effective at drawing new property owners because you represent yourself as a company that stays abreast with trending rental rates, further ensuring maximum profits. This vital information should be present in your advertising and sales materials. It’s not enough to have the interest of a potential property owner. You need to make sure that you’re doing everything in your power to convince them that not only do they need your services but their company could thrive with your help. These are intensely effective ways to grow property management colorado springs Firm. Don’t get comfortable providing potential clients with flyers and other advertising materials that fail to have impact. Instead, make sure that all your sales and advertising materials are spring loaded with glowing customer testimonials, informational videos, and property walks that display your services. This is the type of information that will get a potential client off the bench and signing paperwork that puts you in charge of managing their property. The more you can show a potential client that your services are necessary and would actually make life easier for them, the better. You will cut your work in half if you are able to buy leads instead of hunting and scratching for them. There are many websites that will allow you to buy leads in bulk, cutting out all the awkward cold calling and time-consuming research. Take advantage of this shortcut. If your marketing budget will allow a move like this, you could see an increase in potential clients fairly quickly. Every property management company wants to increase their clientele and grow. Often times, without effective strategies in place, this can be a long and time-consuming process. As a property manager, your ability to stay connected to the market trends and rental rates help to maximize your profits by making sure that your rental units are priced to maximize your profits. It also helps to woo potential clients with high-quality effective information about your company. Furthermore, it pays to have access to quality leads. This is a timesaver. Cutting edge information is often the difference between a company that grows quickly and one that does not. San Diego, located in the southwest part of California State is the second largest city in California. It has an excellent natural harbor that serves as a busy commercial port. Apart from that, the city has other top industries that have employed thousands of both the locals and foreigners. It houses over 1.3 million people, and this means that property and real estate professionals have some serious work to do in this city. San Diego city is growing at a very steady rate, and the population is expected to rise over time. Property developers have taken no chance to waste. They have heavily invested in the commercial and rental property market, to ensure that the 1.3 million people living in San Diego are properly housed and given offices to run their businesses. This is a move that has led to the high demand for more property management services in San Diego. Even though few companies provide quality property management services within the city of San Diego, there is still a high demand for more professionals in that sector. These are some of the causes of demand soars of property management in San Diego. Since more property developers have shown their interest in developing more skyscrapers and modern residential apartments, the current number of assets managers in San Diego cannot be enough. The property developers have scrambled for the few professionals that were in the market leaving other upcoming developers with no alternative but to look elsewhere. This is a move that has created high demand for property management services in San Diego, making property managers appear like a ‘needle in a haystack’; very hard to find. This is one of the major causes of demand soars for property management in San Diego, which the local government is addressing by putting up institutions to train more professionals who will be able to fill the market vacuum. The real housing industry in San Diego has shown no sign of slowing down anytime soon. This has made the existing companies to upgrade their services so that they can be able to retain their clients and even attract more. This has bred stiff competition in the market, with the upcoming property managers devising new methods and strategies to attract new property developers. They have decided to incorporate other services in their efforts to shine as the best property managers. Some of the services that a property manager is supposed to provide are contracting, response maintenance and preventative maintenance among others. However, more upcoming companies have specialized in other services like pest control, commercial cleaning, yearly maintenance contracts, signage, health, and safety. Due to the steady economy of this city, many foreigners and residents of other cities have shown an interest in moving in. More buildings have come up both in the residential and commercial sector, and it is evident that their number has overgrown the number of those who are supposed to take care of them. This is a major cause of demand soars of property management in San Diego. These and other factors are the primary reasons why more property management services are needed in San Diego. And they explain why property management job is the most sought out job in San Diego. When was the last time you looked for a property management company? It’s probably been a very long time if you’ve ever looked for one, but you want to make sure that you’re getting someone who’s going to give you the services that you’re looking for and is going to help you accomplish the goals you’ve set for yourself and for your property. What you need are superior property management Santa Monica companies and you’ll definitely be able to find them if you’re looking hard enough. There are plenty in the area. A property management company is just a group of people who are willing and able to look after your property and take care of some of the aspects of its care. But a superior property management company will do far more than that. 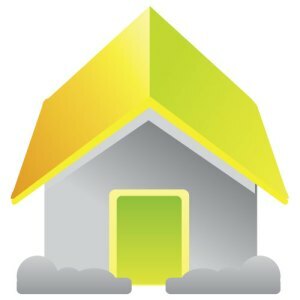 They’re going to help you get everything you want out of your property from making it look like it’s brand new to hiring all of the personnel and services that you need to keep it running properly and looking great to finding tenants and renters to use the property whenever you’re not using it. These are the people that you’re looking for. A superior company is going to have a whole lot of references that you can look at and that’s going to be extremely important for you to look for. Find out who will recommend them and who they submit to you as references. The individual person that you’re speaking with should have references of their own as well as the company having some recommendations because that tells you that there’s no reason you won’t get the superior quality that you’re looking for. You want to know you have someone trusted within a trusted company. Your property manager should also be willing and able to show you what they can do and let you know what type of services they are able to accomplish. They should be able to walk you through everything that they’re going to do for you and how you’re going to benefit from them, specifically, going through your property and taking care of things. If they can’t tell you why they’re the right ones and what’s so special about them then maybe you’d be better off with someone else helping you and your property. After all, you want someone who is uniquely qualified and not just someone who is able to do the basics. Make sure you aren’t settling for anything less than someone who is qualified for everything you’re going to need. You want to make sure that your services are completed not just adequately but skillfully. You also want to make sure that your manager is going to handle everything themselves and not farm out the care of your property to someone else. Now, that doesn’t mean that they do the mowing themselves rather than hiring a service. It does mean that they aren’t having someone else actually hire the services or deal with tenant interviews while they pretend to be in charge with you. Finding someone you can trust is the only way you can know that you have superior service and the best possible property management company and individual around. Working with a professional property management company will not only save you time and money, but their services can pay for themselves! 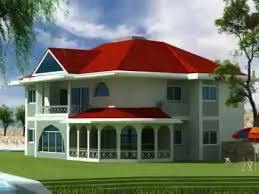 Working with property management experts helps you in saving time to do other important things. Property manager understands how much time is valuable to you; thus, they carry out all the advertising and marketing to get terrific tenants. They conduct showings for individuals interested in renting your property and screen potential tenants to ensure you get the best. 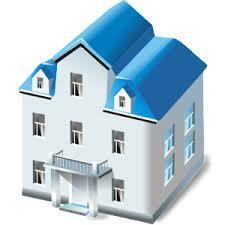 Additionally, your property manager helps you with rent collection, maintenance and all accounting related tasks. 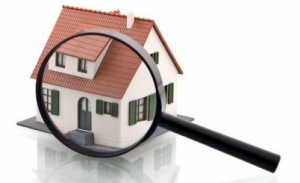 Property management Colorado Springs has the resources required to ensure all of your tenants are thoroughly screened. You’ll receive a criminal background check of all your tenants. This helps you in confirming about the tenant’s previous evictions and ensures the credit checks meet your minimum requirements. 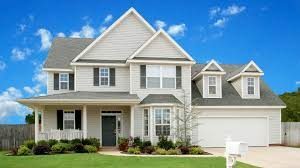 Property management Colorado Springs includes experts highly knowledgeable on all regulations at the state and federal level, the landlord-tenant law as well as any variances in habitability laws. With this wealth of knowledge and experience, your property manager will easily handle all fair housing issues efficiently. An additional benefit to working with a property manager is that you will have somebody available to attend to emergencies at any time of the day. 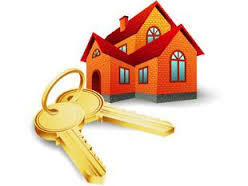 You enjoy great and reliable support services from your property management company even during weekends, and holidays. They ensure that a technician is dispatched to fix any electrical or plumbing issue that your tenants may be experiencing. Property management experts are usually up-to-date with the current market trends. This will help you keep up with the trend and prevent your property from being listed costly and remaining vacant for long. They spend time checking the market rents for your property type within your locality; thus, helping you set the best rates for your property that will maximize your profits. Professional property managers will always ensure that you receive your income every end month along with a comprehensive monthly report showing all your revenues and expenses for that specific month. You will also be informed of everything that happened with your property throughout the month. At the end of the year, you will be issued with an annual reportsummarizing everything including your tax documents. 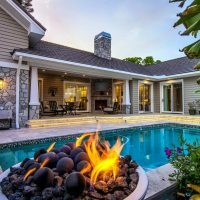 These are only some of the reasons that illustrate how much hiring the services of a property manager in Colorado Springs can benefit you. These professionals are ready and willing to meet all of your property management Colorado Springs needs. Consider protecting yourself from all avoidable risks by hiring a professional to manage your property. Property management, like any other industry, has its ups and downs. It is for this reasons that many prospective investors end up opting out. Potential property customers also face problems while seeking their preferential property, be it for commercial or residential purposes. However, despite the challenges, property management denver enjoys the services of well-established and competent property management companies. One of the common challenges faced by both parties is the time consideration. For the case of the prospective users, getting the preferential property does not come without hiccups. There are many available properties, but not all fit personal requirements. 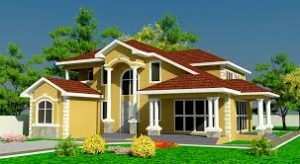 However, using the services of professional property management firms in Denver; this is easily accomplished by narrowing down the available properties in accordance with their features. 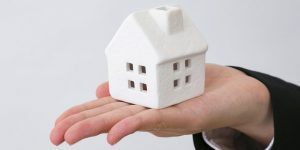 Property owners enjoy smaller intervals of having their property vacated and occupied by new clients, thanks to the well-connected property management companies. Getting the best deal is the other common challenge for the property owners and the prospective customers. Whether it is selling, leasing or renting the property, landing the best bargain requires market knowledge and bargaining skills, features that the experienced property management venture hold. Through the use of researched and up-to-date market information, property management firms understand the market forces such as demand and supply. In that way, the ventures are in a better position to land best bargains when compared to individually seeking the bargain. Customer selection is one of the most challenging tasks a property owner is faced with. No one wants to get their property filled with clients who threaten the productivity of their investments. Getting the right customers entails a thorough screening process that may require financial check as well as past criminal records. With the help of property management companies, this is easily achieved as the ventures hold professional individuals competent to point out clients that may be troublesome. Customers also need to screen the property they intend to rent, purchase or lease for features that the property owner may try to conceal and that might affect them adversely such as demolition notice. This is eased by employing professional and experienced property management firms in Denver. The market mechanisms affect the property owners more than the potential customers. These are considerations including tax compliance concerns, adhering to the set rules and regulations in Denver, rent collection, as well as property maintenance among other significant operational activities. Investors with limited or no knowledge of how the property management denver works are likely to experience hardships that may lead to poor performance and even to a possibility of total failure. This is where property owners appreciate the services of property management companies, who charge a percentage of the earnings to handle all or part of the challenging tasks associated with property management denver. Before settling for a particular property management company in Denver, it is advisable that you check for the features that are outstanding. This ensures that you do not end up in the hands of amateurs who will only waste your time as well as money. Legal documents should also be checked to ensure that the venture is legally running.